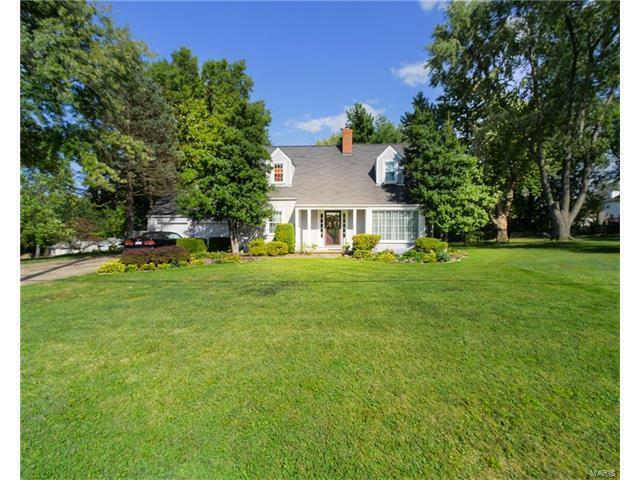 Charming 2 story home nestled on just over a half acre! This is country living without the commute on a large level lot with lots of green space, a patio and garden area. The kitchen boasts custom 42 inch Cherry cabinets, double ovens, gas cooktop and stainless appliances. Sunroom is located off the dining room and the enormous living room features a fireplace and bay window. Neutral paint throughout, wood floors and a nicely finished walk out lower level with 2nd full kitchen plus third bath. This home is perfect for a growing family and loaded with extras! From Page Extension/MO 364 West exit at Harvester make a right, left onto McClay Road, right onto Horstmeier.